The Clinical Health concentration will train psychologists in the science of psychology, as well as train them to deliver clinical services in settings such as primary health care hospital teams, rehabilitation, psychiatry, oncology, cardiology, geriatrics, pain clinics, sleep medicine, pediatrics, health maintenance organizations, community mental health agencies, and in the private practice of health psychology. be competent in the assessment of a biopsychosocial factors affecting an individual's overall health and well-being including psychological, cognitive, behavioral, social, environmental, and biological/physical factors. be skilled in developing and delivering psychological interventions to promote prevention and wellness and treat psychological conditions that affect health and illness. be skilled in a broad range of psychological interventions and techniques, ranging from psychotherapy to targeted interventions such as stress-management, relaxation training, biofeedback, health promotion, and problem solving therapy. 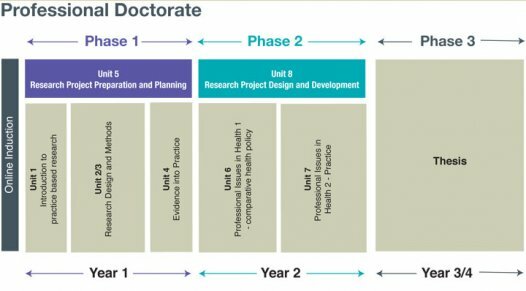 be skilled in collaboration, consultation, and teamwork, which are essential to working within a multidisciplinary team of health professionals such as medical doctors (e.g. family medicine, psychiatry, neurology, cardiology), nurses, physician assistants, occupational therapists, physical therapists, exercise physiologists, nutritionists, social workers, counselors, speech-language pathologists, and public health professionals. The clinical health program is based on a mentorship model. Students are commonly admitted to perform research with a specific faculty mentor. The mentorship model allows for a rich training experience. Additional information about our our policies regarding student selection, program preparation, and admission policies can be found here. The Psychology In "Black Swan"
Pathways Health and Research Centre is a specialised psychology clinic and health centre located in West End, Brisbane, Australia. The clinic is known mostly for the Friends for Life Program, created in 1992 by the clinic's founder, Dr Paula Barrett.